Two weeks ago I issued a #5thingsworthsharing challenge and Susan Spellman Cann took up it up and ran with it. In this blog I have been focused primarily on professional considerations – Susan went with the, 5 MOST important things worth sharing, – no argument about her choices. In fact I have missed a week here because I am in the process of being with a loved one who is dying – which may cause a few more blog posting interruptions in the next month or so. I love having the opportunity to look at a space that has been designed with the intention to pay attention to one’s creative muses. Marjory Mejia has written a blog post on, A Creative Space of Flow, that says YES to creativity. Richard W. Hamming taught a course called the, Art of Doing Science and Engineering: Learning to Learn, in which he attempted (primarily through personal anecdotes and mathematical equations) to encourage the art of lifelong learning and promote a continual quest for knowledge. Many of his suggestions are wise counsel or guidelines for anyone wanting to create and nurture a PLN. Hamming’s ideas have been summarized in the blog post, Ten Simple Rules for Life Long Learning, According to Hammond. Marc Prensky’s hypothesis of agility with digital technology being largely dependent on when in our own developmental history we were introduced to computers lead to the terms, Digital Natives, and Digital Immigrants. Prensky hypothesis has come under considerable criticism and in all fairness Prensky himself has expressed skepticism. David White developed a view of computer usage that sees activities as being either those of a visitor or those of a resident, dependent not on the person but on the form of usage. Catherine Cronin in her blog post, Marvelous Mapping, gives a very cogent overview of visitors and residents. When we are in visitor mode we use the Internet to access information and leave no social trace. We are not particularly discriminate regarding which tool we use, we simply want the information and we are not interested in interaction. In resident mode we are participating, interacting, engaged. We choose how, and why we participate, often we choose with whom we engage, we design the ‘what’ and the ‘when’ we share. This theory really resonates with my experience. 5. ‘Clock Problems’ and ‘Cloud Problems’ are great metaphors to explain the need to move and operate in an arena where all the parts either can or cannot be identified or sorted out ahead of time. 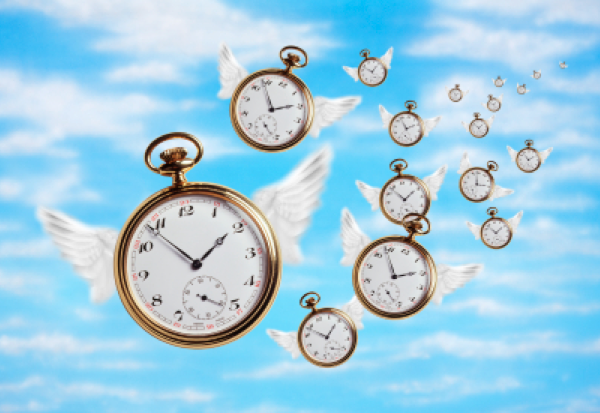 In David Brook’s March 17, 2015 post for the New York Times he states, “Clock problems can be divided into parts, but cloud problems are indivisible emergent systems. A culture problem is a cloud, so is a personality, an era and a social environment. I work as a researcher and educational consultant. My undergraduate degree is in industrial design so design thinking has long been part of my process - emergent connectivist learning resonates strongly with me. Maureen, I love how the 5 things worth sharing posts keeps evolving. I can see this will be a tremendous resource for you, and others like me, as you continue this practice going forward. I may not be able to read every link each time you post, but even if I’m able to scan, I can see where I could come back and dive back in at another date – or search your blog. Susan Spellman Cann’s blog post was a great and helpful reminder on the value of family, friends, and living life. I’m glad she took up the challenge. I needed to read this post. I also agree ‘cloud’ vs ‘clock’ problems is a great metaphor. I need to hang on to this one (what a great tie into the Cynefin video you shared a couple weeks ago?!). Most of all: Thank you for challenging me and others to continue writing these posts. I think I’m going to be challenged to keep up with writing #5thingsworthsharing once per week (especially for the next few months) but I do plan to contribute as I’m able (once every 2 or 3 weeks). I’m also finding that just framing my thoughts around the idea of ‘worth sharing’ has been extremely helpful. So, I may write other posts on one thought inspired by ‘worth sharing’. I appreciate the camaraderie and accountability while striving to continue this practice. Let’s keep growing the idea!